Area Rug Cleaning – Area rugs are a beautiful addition to any home and often a focal point of the decor, but, at some point, they have to be cleaned. 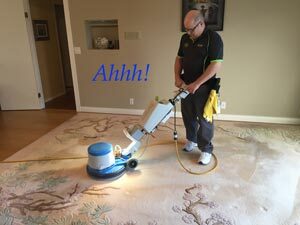 Typically, most carpet cleaners remove rugs from the home and will usually use high-pressure hot water extraction systems (steam) on a concrete or garage floor to clean them. Some in-plant services even use an immersion system totally saturating rugs in water after beating them and placing them in a spinner to remove excess water then hanging to dry. Hanging a heavy wet rug to dry is a common cause of backing distortion and stretching. Although there are some circumstances that may warrant this extreme treatment, it is rare. When you choose Oxy-Dry® to clean your area rugs, you can rest assured knowing we will treat your fine rugs with great care and attention. In fact, you can watch us! 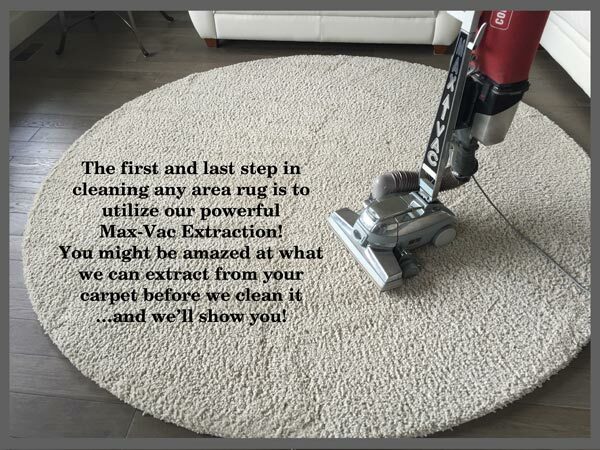 We will clean your area rug in your home where it normally rests. There is no risk to any type of flooring surface underneath such as hardwood, laminate, tile, carpet or linoleum as the back of the area rug is never saturated with excess water. 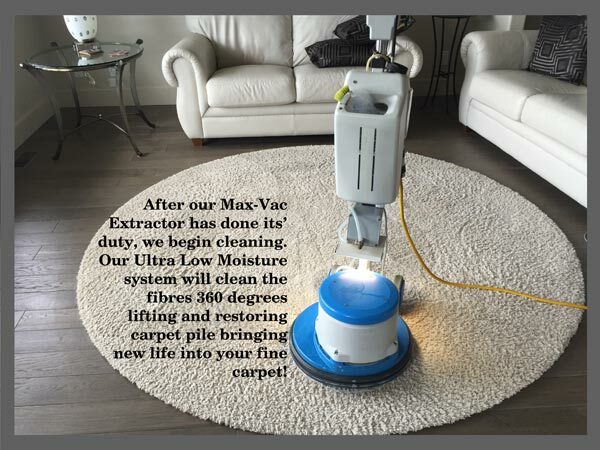 Using our unique Oxy-Dry® Ultra Low Moisture (ULM) system there is also no risk of shrinkage, colour loss, backing distortion or dye bleeding with our area rug cleaning system. Your fine rug is 100% safe! 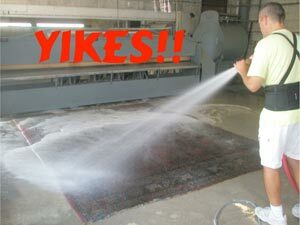 If you have an expensive and/or favorite area rug that needs cleaning, call Oxy-Dry® for the freshest and safest clean possible!